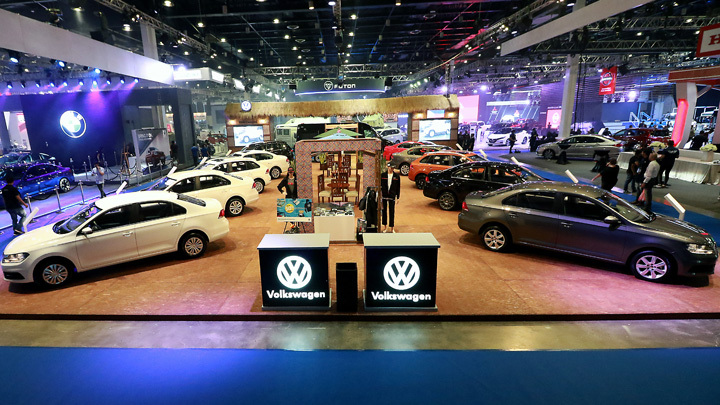 It’s almost impossible to miss the Volkswagen Philippines booth—it’s positioned front and center at the spacious World Trade Center hall. The cars are assembled symmetrically in perfect German fashion. There are five on each side, chairs and tables in the middle, and the massive Crafter van in the back. 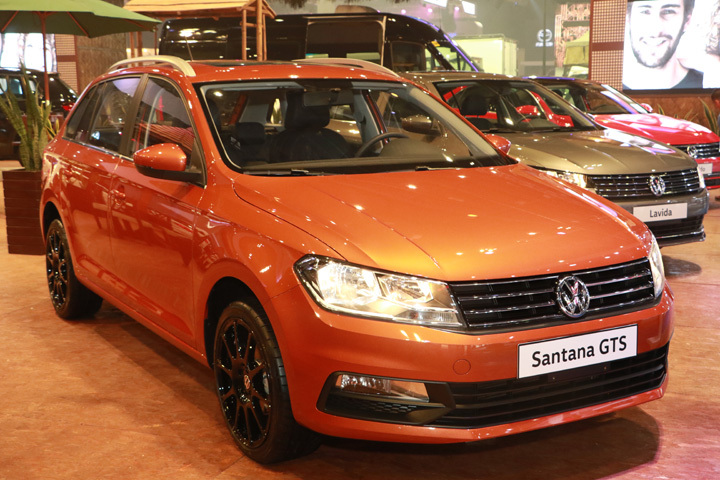 So that makes 11 Volkswagen models to view at the ongoing motor show. The highlights—well, for me, anyway—are the Santana GTS (we love wagons) and the Lamando. 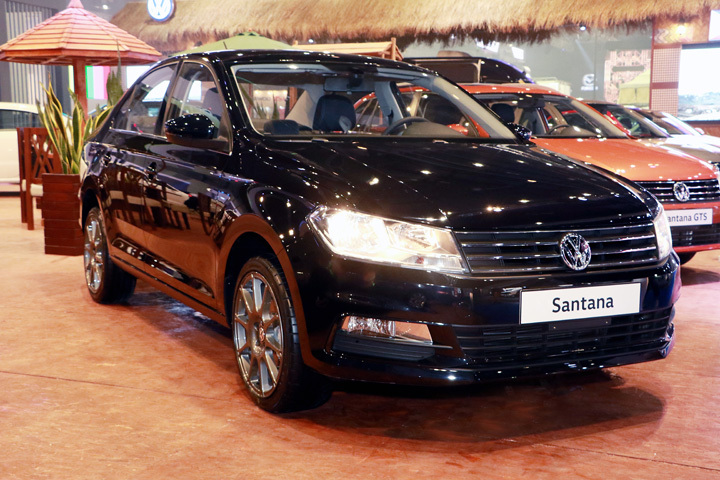 The base Santana is still a bargain at P686,000, but for those who want more power, more kit, and less shifting gears, there are now automatic variants: the 1.5 MPI AT Trendline (P898,000) and Comfortline (P962,000). The 1.5-liter mill mated to a six-speed automatic gearbox generates 109hp and 150Nm—a noticeable power bump over the 1.4-liter on the manual Santana. Naturally, we were drawn to the bright orange Santana GTS 1.5 MPI (P998,000). 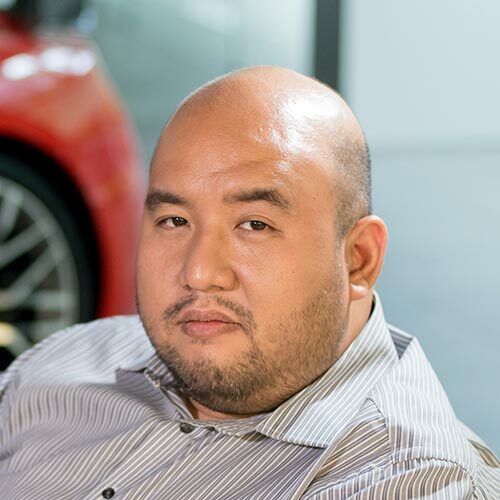 The GTS might be a steak dinner away from breaching the million-peso mark, but it gives you electronic stabilization, rear park distance control, 60/40 split-folding seats, and MacPherson struts in front and a semi-independent suspension setup in the rear. The other car that caught our attention was the Lamando 280 TSI DSG Highline (P1,703,000) in a similarly bright Misano Red hue. 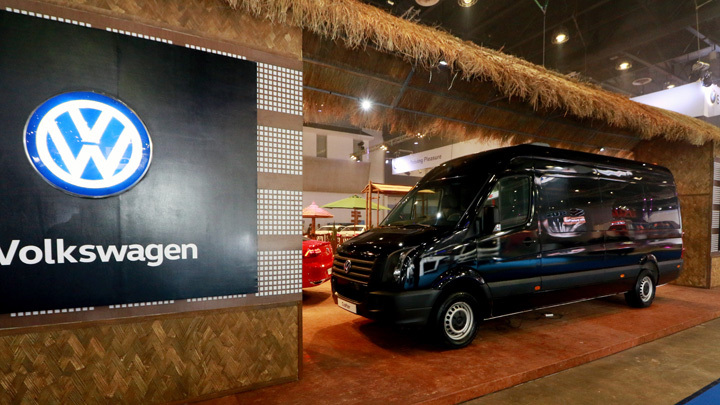 The more attainable Comfortline variant comes in at P1,569,000. 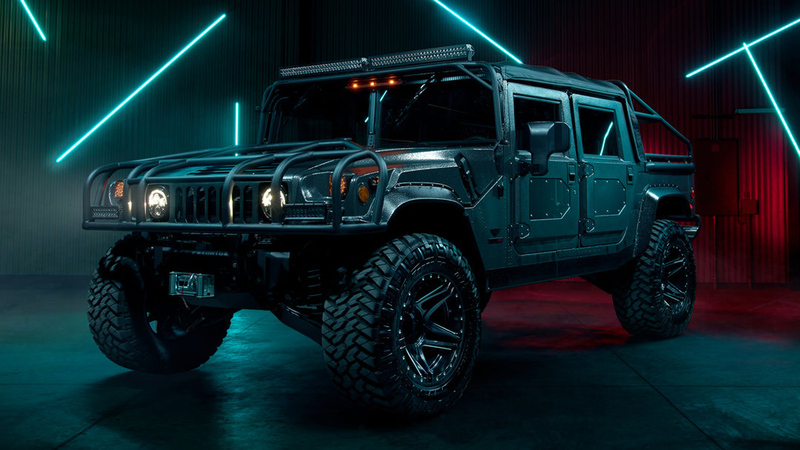 What you get for that amount are the Keyless-Go function, leather seats, two-zone automatic climate control, a panoramic sunroof, an eight-speaker infotainment system, and cruise control. 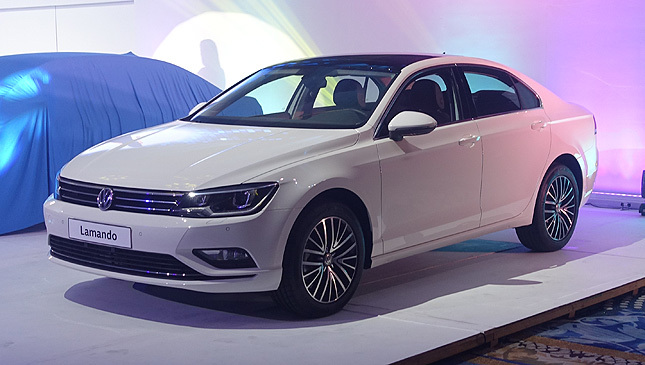 The Highline spec comes with adaptive cruise control, while the whole range gets electronic stabilization and airbags. The Lamando Highline is equipped with an Active Info Display—a digital gauge cluster that changes according to the driver’s needs. I was shown a demo and the first thing that came to mind was, “That’s Audi tech.” I wasn’t contradicted, to say the least. 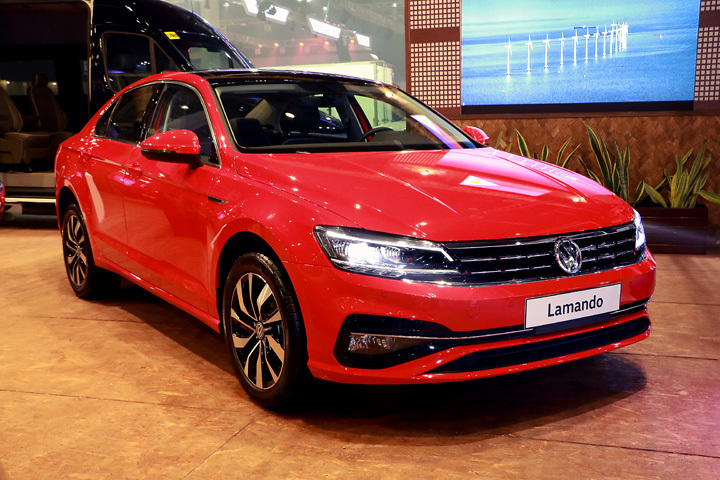 The rest of the models in the 11-car display are the Santana 1.4 MPI MT Trendline sedans (check out the Pepper Gray one with a Blaupunkt head unit and alloy wheels), the Lavida 230 TSI DSG Comfortline sedans, a black Tiguan 280 TSI DSG Comfortline also equipped with Blaupunkt and 19-inch alloys, and a traffic-busting custom Crafter van with an LED TV, six captain’s chairs, premium carpeting, Focal audio speakers, window blinds, mood and drop lights, and a stepboard. 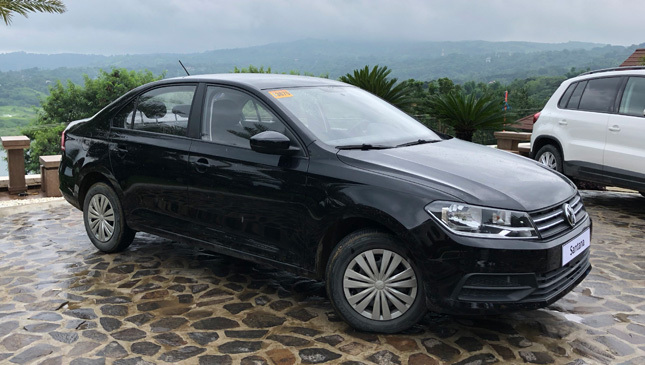 Some car nuts lament Volkswagen Philippines’ shift from its former lineup of Golfs, Polos, and Jettas to the China-made models now on sale. 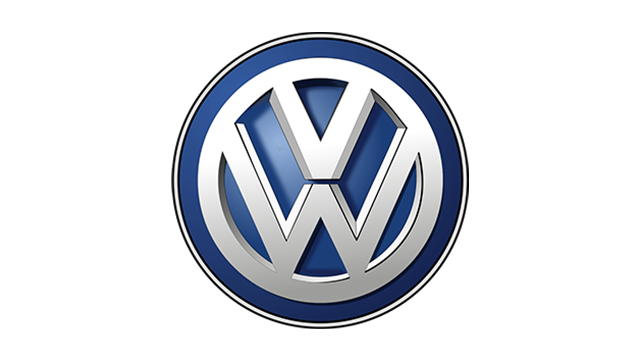 But the end result is more affordable German-badged and German-engineered cars. 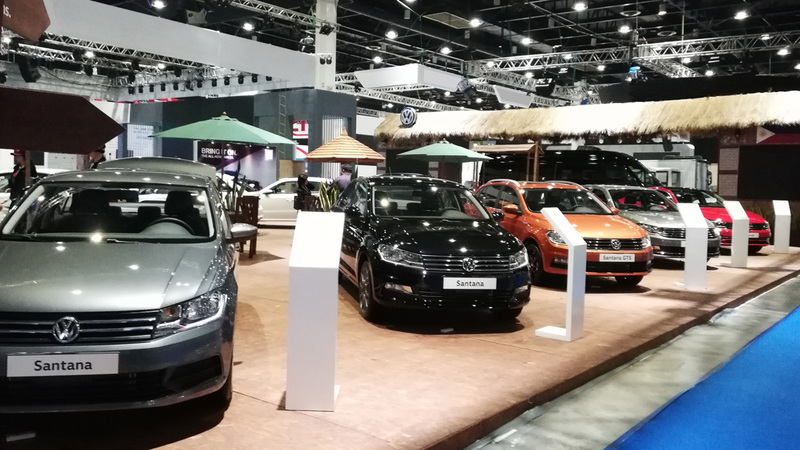 Check them out for yourself at the ongoing 2018 Philippine International Motor Show. You might be pleasantly surprised.